Comes as part of a kit. Data can be sent to your computer. Doesn’t work with all cars. The CP9190 provides you will all that you need to receive solid diagnostics from a car’s engine. Thanks to the CP9190, you can get all sort of necessary data to know about any possible issues and deficiencies coming from your specific car or truck. The OBD scanner comes as part of a kit in order to give you everything you need to get started. You get a series of adaptors and cables that give you the connections you need for the diagnostics. A plastic carrying case holds everything in the bundle so you do not need to buy separate containers for everything. The scanner by itself comes in a bright orange shell with a dark blue face, overall looking like a graphing calculator. It definitely looks different from other equipment that you might own, so that you can easily recognize it in certain scenarios in which you have all your car equipment out at once. The screen itself is rather small. This scanner definitely had the ambitions of an LCD calculator with black and white information. There is also a backlight included. If you are not at all impressed with the screen, there are other Actron scanners that come with larger, more advances screens that may better interest you. The bottom of the scanner is ergonomically designed and will fit comfortably in your hand like a glove. This is so that you have a large screen to look at, yet a slimmer and smoother area for holding the device so that your hand does not get sore after a while. Because you have the cables necessary to perform the diagnostics, you do not need to buy anything separately or fish an old cable from your warehouse or garage. For the main connection from the OBD scanner to the port underneath the dashboard, it is pretty much an easy and secure connection. Some technical knowledge is required to get under the hood and make the other necessary connections where need be. This device, however, does not read ABS codes. Unfortunately, it only reads P codes that are related to the engine and powertrain. While it would be great to know if you have certain problems with the engine and what kind, you would rather appreciate a scanner that saw everything and shows you everything instead. In addition to scanning your vehicle for problems, freeze framing is also done in real time so that you can figure out when exactly problems have happened. Rather than having to retrace your steps, you can now have data right in front of you to better determine what, when and where problems with your car have taken place. Because there are many other supplies and equipment included with this scanner, you are actually getting a bundle that you can use right away for your first vehicle diagnosis. The bottom half of the scanner is designed to be held comfortably in your hands, so that you do not feel like you are holding a bulky Game Boy. For extra functionality, data can be transferred to your computer for you to send to other people and view at any time. You can send data and also receive updates via a USB cable. As mentioned previously, you won’t be able to read ABS codes like most scanners today do, only P codes that stem from powertrain and engine problems. If you are an experienced car owner, however, you might be able to get by without needing a scanner to detect problems unrelated to the engine. The LCD screen is also quite small. Even if you can read the data just fine, you will need to have the device close by in order to understand anything and everything shown. 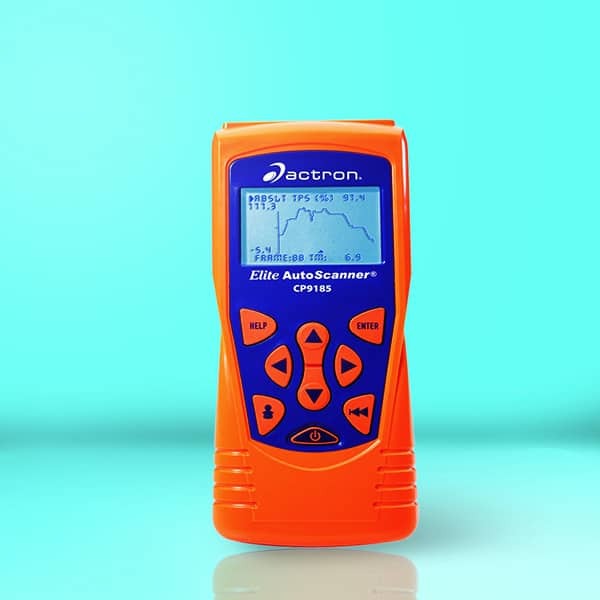 Furthermore, which cars are compatible with this Actron scanner are really a hit and miss. Actron never really says which kinds of cars work and which ones do not. The general consensus is that consumers have better luck using them on cars from American manufacturers such as Ford, Chevy, Chrysler and Buick. Not even popular cars like Toyotas and Volkswagens are guaranteed to be compatible. We really appreciate the effort of Actron for making this scanner at the time, in addition to including all the necessary cables and equipment. But unfortunately, it is just too outdated for many consumers to find satisfaction from this product in particular. 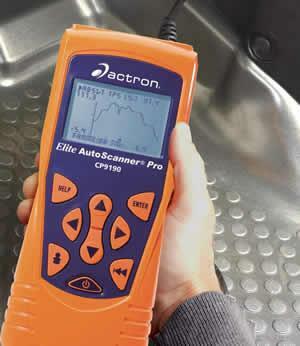 We trust that you would find better luck using a more recent Actron scanner.